Former world champions Abner Mares and “Vicious” Victor Ortiz participated in a media workout on Tuesday at the Del Mares Gym in Bell Gardens, Calif., as they prepare for their respective upcoming fights on the undercard of “Royal Battle: Amir Khan vs. Devon Alexander” on Saturday, Dec. 13, at the MGM Grand Garden Arena in Las Vegas live on Showtime at 9 p.m. ET/6 p.m. PT. Mares (27-1-1, 14 KOs), a former three-division world champion making his first start since reuniting with trainer Clemente Medina, will be face off against Mexico’s Jose Ramirez (25-4, 15 KOs) in a 10-round battle in one of four fights on Showtime Championship Boxing. 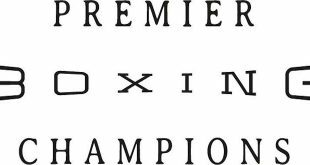 Ortiz (29-5, 22 KOs), of Ventura, Calif. will battle Denver’s Manuel Perez (21-10-1, 4 KOs) in a scheduled eight-round match that will be featured on the Sowtime Boxing on SHO Extreme telecast. “Training camp has been going great, it’s pretty much done. We have our last sparring session on Friday, closing with another 10 rounds. “I’m ready for this next opponent [Jose Ramirez], who I know little about, and that scares me. When you don’t know much about a fighter it reminds you that he can bring anything. “I had been working with Virgil Hunter in Oakland, Calif., prior to coming back to Clemente [Medina]. I had to sit down with Virgil. I learned so much from him, he’s such a wise man. "Everything that he says means something and I was fortunate enough to work with him. He taught me a lot and, if anything, you will see many things I learned from Virgil in my next fight on Dec. 13. “It’s been a long camp for me, I thought I was originally going to fight on Nov. 22 but then they told me not until December. This environment here at my own gym is great for me. My family is here and I feel very comfortable with Clemente. “At first, I was disappointed in myself [after losing to Jhonny Gonzalez], very discouraged. I really wanted the rematch and it was going to happen in February, but then I got injured. Now, I’m back. “I really needed this time away. Things happen for a reason. I needed more time to spend with my kids and my family. If it wasn’t for the free time I wouldn’t have built my own gym. “I think I grew mentally as a person with my time off. I just turned 29 this past Friday; I’m blessed, healthy and hungry. Hungry is the key word for me. I’m hungry to become a world champion again and to get back to where I was. “It’s not that I want to become world champion again, I’m going to. I’m going to let my actions speak louder than my words. I’ve been in this situation before. 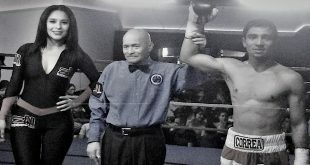 "No one knew about me when I entered the Showtime Bantamweight Tournament and then I won that and no one expected it. I’ve won many fights that people didn’t expect me to win. “I have been in training camp for the last 12 weeks now. There are some changes, but I have an open mind to whatever Coach Joel Diaz has to say. I am not fond of the place or the spot [Indio], but its training camp. I think in the next couple weeks we will see what I have been up to. 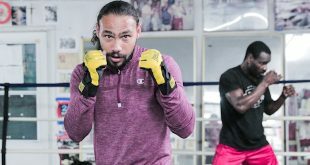 “I never left [the welterweight division]. It is still as deep and talented a weight class as it has ever been. You have great fighters, from the guys that I have been beaten by - [Josesito] Lopez, [Marcos] Maidana, [Floyd] Mayweather. They are hot themselves so I am just here once again to box. “Do I have to box? Absolutely not. I have been told by a lot of people to hang it up, but I make my own decisions and, at the end of the day, I am going to keep boxing. It is what I love to do. “One important thing that was brought up was that I don’t have to box ever again because of my movies. That’s true – I don’t have to box again. But that’s not where I stand. "I want to be one of the greats, I want to be the pound for pound king and I know what it takes to get there. At this point in time I have put two films aside just to fight and I’ll be back in the ring Dec. 13 to show you what I’ve been working on. “I’m going to be world champion again. I am also going to keep chasing an Oscar [Academy Award], just so I can really pick at the crowd and let them know what it’s like to be in my shoes and let them know what I have fun doing. “I am not going to go out there looking for a knock out because that’s pretty dangerous. We saw the last fight [a loss to Luis Collazo], it is what it is. I will go round by round and see how it goes. “I am going to be the pound for pound world champion, there is no doubt in my mind. I will be one of the greats like Floyd [Mayweather] or a [Julio Cesar] Chavez one day, I just don’t know when. “I’ve been working with Mares for almost two months since he started with me again after leaving Virgil Hunter. Mares is a wonderful fighter, I don’t have to change anything. The reason he came back to me is because he knows my style, and my style is similar to Mares. He and I together are a very good team. “I wasn’t surprised when he came back to me because before he left he told me that he wanted to try to learn something different. I wasn’t happy, but I understood. He needed to learn something different from someone else. I told him that if he wants to come back to train with me, the door is always open. “Mares is an aggressive fighter, but he’s also very smart. I expect to see the old Mares on Dec. 13. I think that Mares was thinking too much in his fight with Virgil and I think that he will go back to being more aggressive and smart. “I think the move to Indio was good, it was good location-wise and timing-wise. He needed a fresh start because of the stumbles we have had recently. Joel wanted to stay in Indio. Joel is a trainer who uses a lot of positive reinforcement, doesn’t dwell on the negatives. "He has been bringing out a lot of stuff Victor has done well in the past, putting combinations together. I think we may see a little of the old Victor Ortiz. At this point in his career there isn’t much new stuff you can teach him, but you can look back at the past and see what he did well. 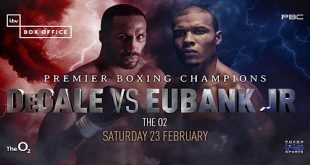 “I think as far as expectations go, one thing we can always expect with Victor is that it is going to be a good fight, an interesting fight, an entertaining fight. I don’t think he’s ever been in a bad fight. “Victor is not big into researching opponents. He has looked a little into Manuel [Perez]. I believe they trained at the same gym when they were younger in Colorado. “Talent-wise, physical ability-wise, he has everything that it takes. What I think doesn’t matter, what he thinks doesn’t matter. All that matters is what he does in the ring and if he performs up to his abilities and puts everything together on that given night. Then we’ll be in for a treat. “He is fresh; his mind is strong and sharp. He has a lot of interests in life, and that keeps him from getting bored in training camp. “I think for this fight, I have noticed a lot of focus. He is not coming directly off a movie like his last fight. He is solely focused on boxing. I expect to see him dedicated to his fight on Dec. 13."